These films were voted by our community as the essential films of the genre. More info on our voting procedure and where to find those that didn't make the top 50, you'll find at the bottom of the page. For an introduction to the genre, please visit our Introduction. Ennio Morricone's theme is world-known, even to people unaware of its origins. 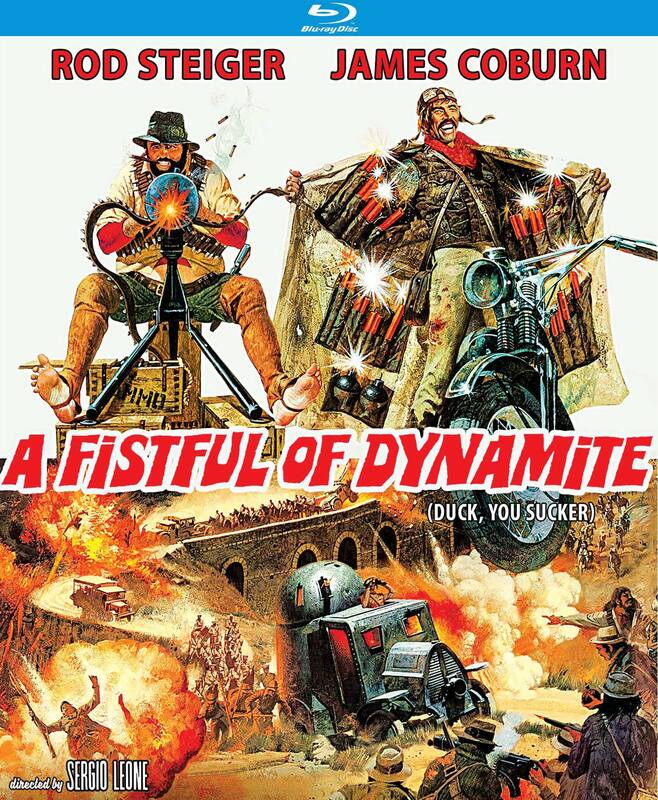 This lengthy, but beautifully balanced western is held by most to be THE spaghetti western. The three-way show down between Clint Eastwood, Lee Van Cleef and Eli Wallach is legendary. Made to be the spaghetti western to end all spaghetti westerns, Leone's opus is both a hommage to the American western and as through and through Italian as can be. He turned Henry Fonda into a badboy and let Ennio Morricone give themes to all the characters, played also by Charles Bronson, the unforgettable Claudia Cardinale and Jason Robards. The harmonica is just as famous as the coyote howl of our No.1. Clint Eastwood returns as the man with no name, in one of the most exciting representatives of the genre and the map that cemented Sergio Leone as the king of spaghetti western. 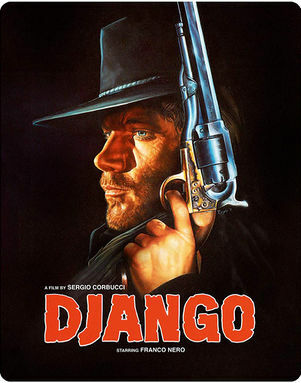 Ennio Morricone's score is amazing, as are stars Klaus Kinski and Lee Van Cleef. 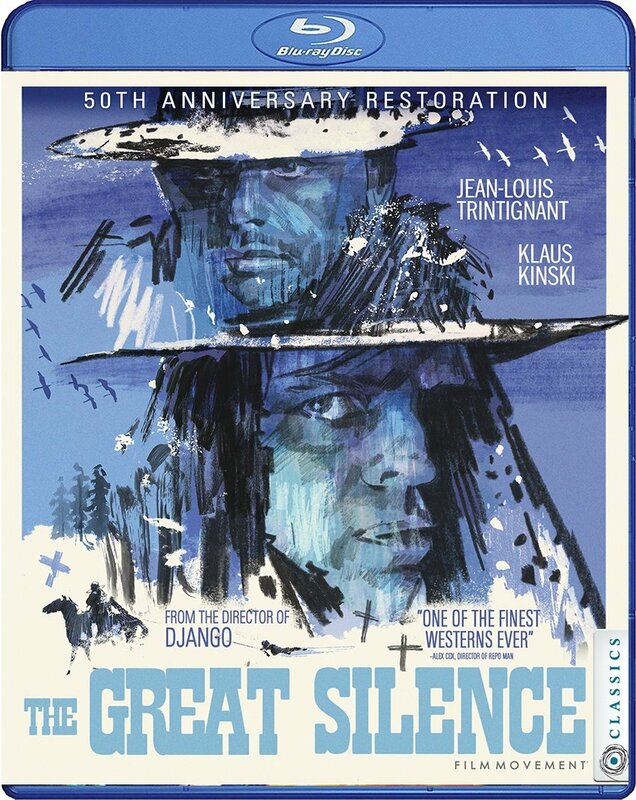 Its wintery setting, gloomy score (by Ennio Morricone), and the grim violence add to the atmosphere of this famous western by the "other" Sergio, starring Klaus Kinski as the villain and Jean-Louis Trintignant as the mute anti-hero. This is where it all started, the movie that got the ball rolling. 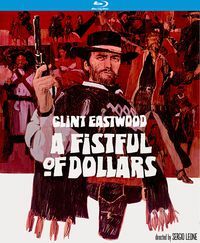 Leone's remake of Akira Kurosawa's Yojimbo put the then unknown TV actor Clint Eastwood on the map and established his style and the use of extraordinary music by Ennio Morricone. Violence is a trademark of the genre. 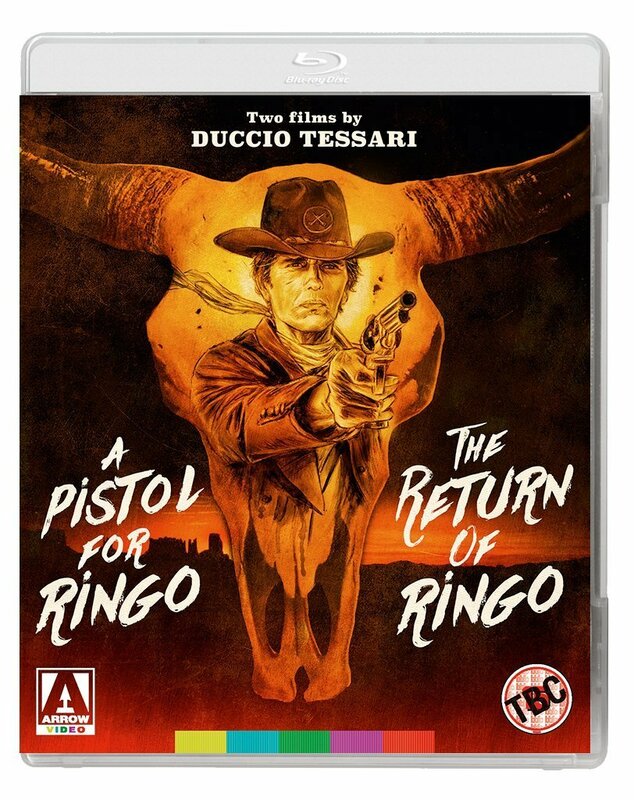 Corbucci upped the anti with ears bitten off priests and citizens slaughtered with a machine gun, but the skilled pistolero with the army coat and the coffin are what makes this a cult favorite. This is one of three spaghetti westerns of the third Sergio, pitting Lee Van Cleef against genre stalwart Tomas Milian in a cat and mouse hunt that ends as epic as could be, with one of the most remarkable opening credit theme songs ever recorded. Some films are not only famous, they are also cult favorites and draw a crowd of followers. 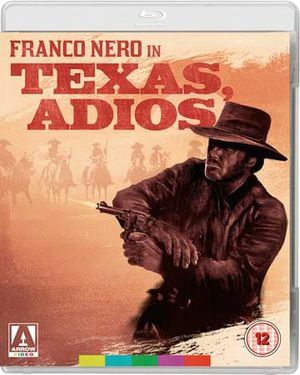 This is one, with Franco Nero in one of his greatest roles, an unforgettable soundtrack by Ennio Morricone and the late Jack Palance at a particular best. 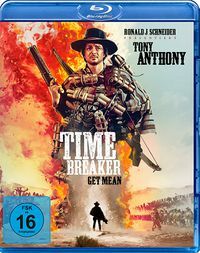 This is Corbucci's second revolutionary tale next to The Mercenary, and it is somewhat of a modification of it, again starring Franco Nero but this time with Tomas Milian in the role of the peasant. 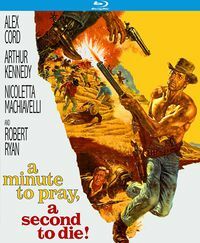 This is actually the second of his three westerns, and it is as much a metaphor of violence as it is a showcase for actors Tomas Milian and Gian Maria Volonte trying to top each other. Gunslinger mentor and trainee, a very popular theme in the genre, here depicted by Lee Van Cleef and John Phillip Law, with a beautifully haunting score by Ennio Morricone. Leone's own revolutionary western pits Rod Steiger and James Coburn against armored tanks and the Mexican army, in a very explosive film. In another revolution-themed entry from the early years, Gian Maria Volonte as El Chuncho is played by a young American agent in order to kill a revolutionary leader. A great story of comraderie and betrayal, with brilliant acting and beautiful music. In its late phase, only few directors have managed to churn out quality films on decent budgets. Veteran director Castellari teamed up with icon Franco Nero in what is a very gloomy but gripping western tale. The French director's singular endeavor into the genre is also one of the most revered. This sinister tale of revenge and death boasts with incredibly atmospheric scenes, great music and exceptional acting and directing. A small gem if you so will. Elegantly directed by Ducio Tessari this is one of the early classics and one of the early successes of the genre. Following the storyline of Homer's Odyssey, Gemma (in his best role) returns home after the civil war to win back his wife and house. As the genre turned into its self-parody phase, Leone conceived a self reflective western pitting the established Terence Hill against acting titan Henry Fonda. Controversial in it's mixture of comedy and deeper meaning about the decline of the west it was not the last SW, but nonetheless a fitting end for an already dying genre. Questi's very bizarre and only entry in the genre might not find too many friends but is a well-directed film with many memorable moments, as well as a great deal of elements found in exploitation cinema. Tomas Milian runs for his life, this time not from a bounty hunter but for his honor, lots of gold and a promise. An adorable film but maybe the weakest of the three films Sollima made. But it has a scene in the snow! Compiled from meanwhile 174 Top-20-lists (post yours! ), this is a dynamically changing list of the most important Spaghetti Westerns as rated by our community. This page was last modified on 5 March 2019, at 08:50.